Four out of Six Great Apes One Step Away from Extinction, Experts Say – FIREPAW, Inc. 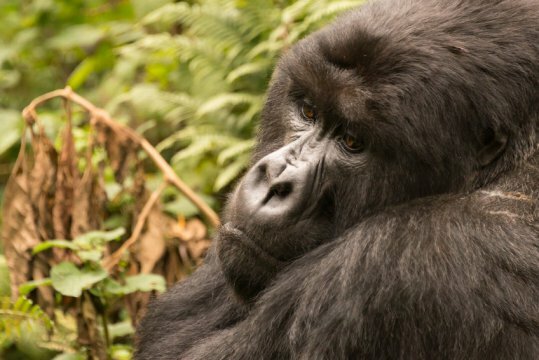 The Eastern Gorilla (Gorilla beringei) — which is made up of two subspecies — has moved from Endangered to Critically Endangered due to a devastating population decline of more than 70% in 20 years. Its population is now estimated to be fewer than 5,000. Grauer’s Gorilla (G. b. graueri), one subspecies of Eastern Gorilla — has lost 77% of its population since 1994, declining from 16,900 individuals to just 3,800 in 2015. Killing or capture of great apes is illegal; yet hunting represents the greatest threat to Grauer’s Gorillas. The second subspecies of Eastern Gorilla — the Mountain Gorilla (G. b. beringei) -is faring better and has increased in number to around 880 individuals. Four of the six great apes — Eastern Gorilla, Western Gorilla, Bornean Orangutan and Sumatran Orangutan — are now listed as Critically Endangered, whilst the Chimpanzee and Bonobo are listed as Endangered.